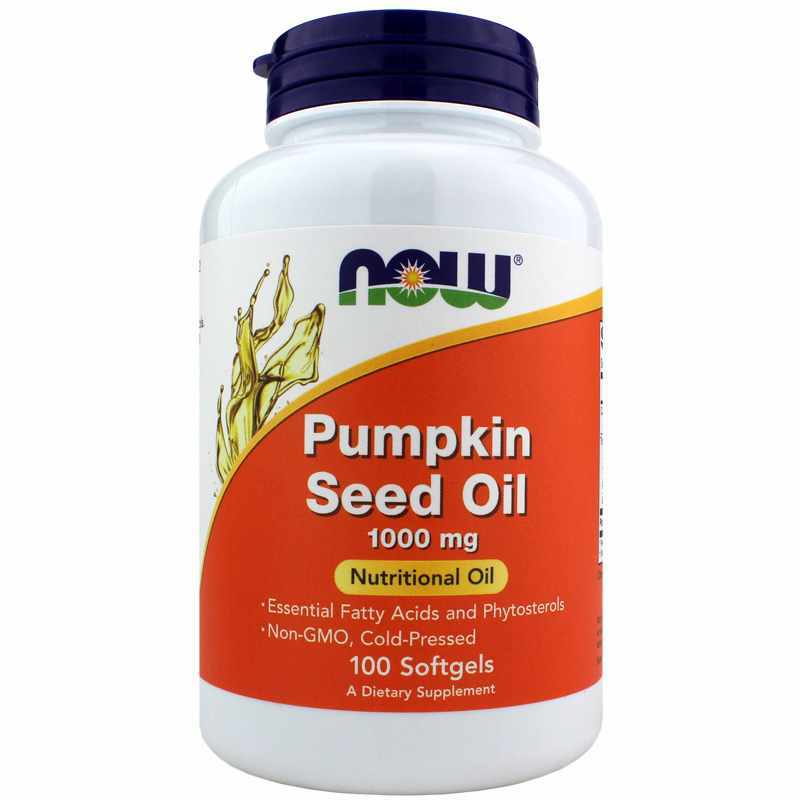 NOW Pumpkin Seed Oil is a nutritional oil rich in essential fatty acids (EFAs), which help support cholesterol levels already in normal range. NOW Pumpkin Seed Oil is rich in phytosterols, which may help lower blood cholesterol by interfering with cholesterol absorption in the intestines. 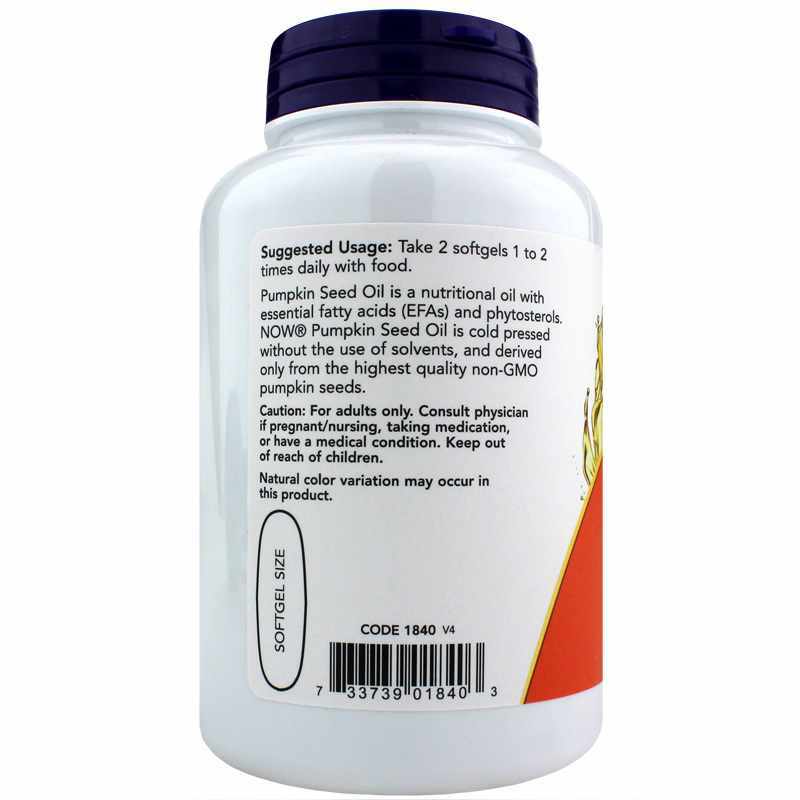 It also includes a variety of natural ingredients that help support overall good health and wellbeing. Vitamin K helps promote strong bones in elderly people it also supports blood coagulation. NOW Pumpkin Seed Oil is unrefined, cold pressed without the use of solvents, and derived only from the highest quality pumpkin seeds. 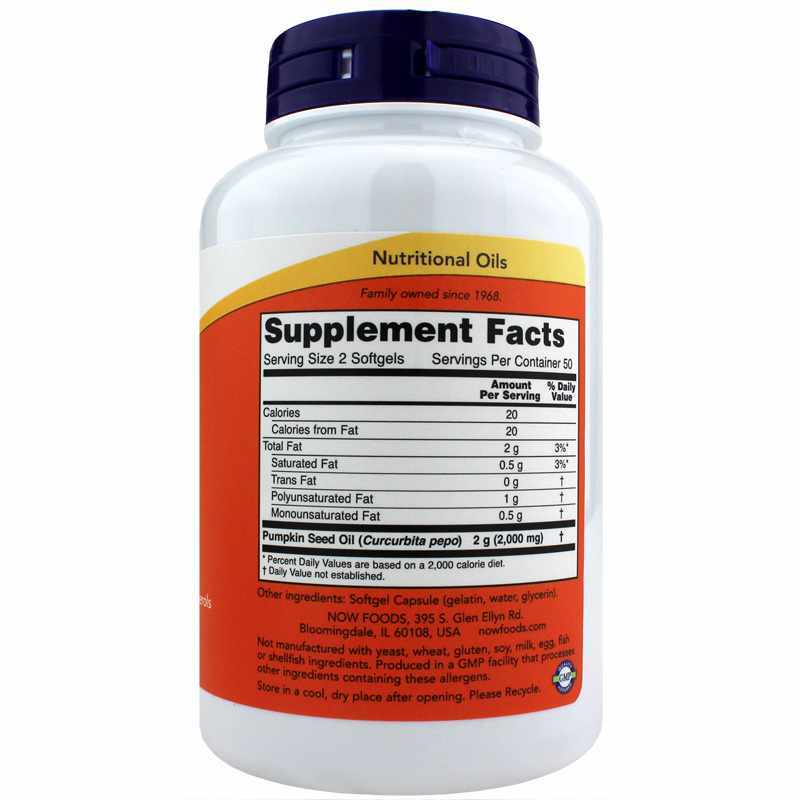 delivers the natural nutrient profile found in Genuine Whole Foods. Not manufactured with: yeast, wheat, gluten, soy, milk, egg, fish, shellfish or tree nut ingredients. Natural color variations may occur in this product.